Elizabeth Woodville is the focus of this detailed account of the Wars of the Roses, beginning with her auspicious meeting with King Edward IV, where she boldly asked him to favor her with the return of her deceased husband’s estate, but ultimately won the crown of England for herself and her family. Cold and calculating, Elizabeth masked her true feelings behind a perpetual charming façade, enslaving her husband with her acceptance of his amours and other faults, in exchange for titles, lands and boons for her family members, placing the Woodvilles as the highest family in England. The great Neville family, specifically Warwick the Kingmaker, hated the Queen and her relations and schemed to bring them down—to his detriment. Also a story of the King’s brothers, George, Duke of Clarence, and Richard, Duke of Gloucester, we witness one’s downfall and the other’s rise and eventual demise at the hands of Henry Tudor. Richard III is characterized as extremely loyal to Edward and an all-around good man and fair ruler. All of the evil rumors spread during Tudor rule are played out as carefully planned and cleverly placed propaganda by Lancastrians. Ending as Henry Tudor takes the crown (literally) and unites the country by marrying the Yorkist princess, this is a very good account of the rule under both Edward IV and Richard III. Diplomacy, war, scandal, treason—and the love stories of Richard and Anne, Edward and Jane Shore, and later Hastings and Jane Shore, this is a multi-faceted and intriguingly detailed retelling that is so steeped with facts it’s hard to believe that it’s fiction. 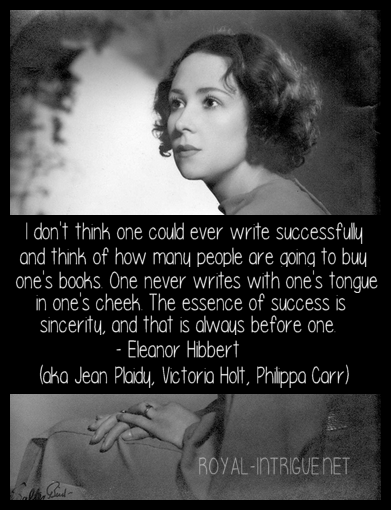 Thus the allure of Jean Plaidy to historical accuracy aficionados. 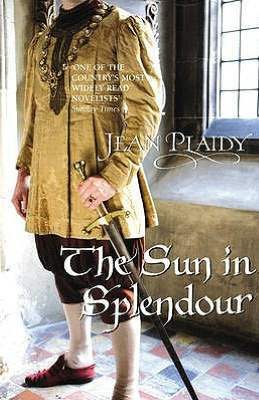 For further reading on the characters portrayed, I recommend The Goldsmith’s Wife by Jean Plaidy on the life of Jane Shore, and The Reluctant Queen by Jean Plaidy on Anne Neville. Uneasy Lies the Head by Jean Plaidy is the next book, and the first in the Tudor series.